 Village Creek Apartments is located in Westminster, Colorado and is conveniently located just minutes away from all the necessities of life. You can drive down to the Hyland Hills Golf Course to get a refreshing game of golf in, or go to the Town Center at Brookhill to get some shopping therapy. Dining options are plentiful with choices ranging from Carrabba's, Snooze, Village Inn, and much more, all of which are a short distance from our apartments. We are confident you will love our apartments for rent in Westminster. Schedule a tour to see your new home.